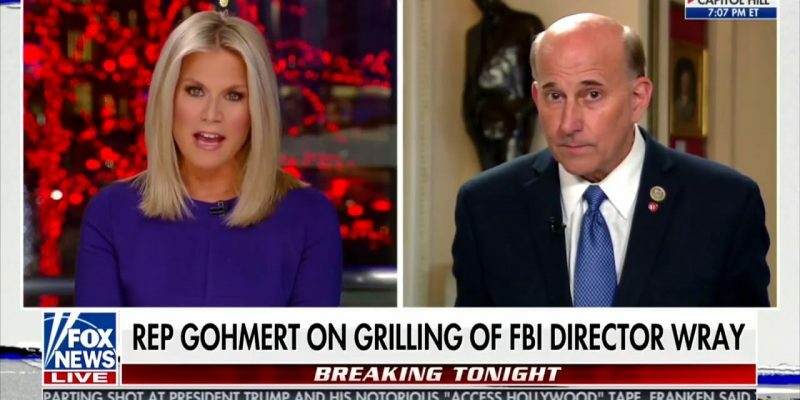 Texas Republican Congressman, Louie Gohmert, recently talked to Fox News’ Marth MacCallum about a congressional hearing to investigate corruption within the FBI. Gohmert remarked that if the Obama administration compiled a Russian dossier as part of “opposition research” on then-candidate Donald Trump in order to obtain a FISA warrant, then he argued that the FBI’s level of corruption was more pervasive than it was when J. Edgar Hoover was its director. MACCALLUM: Here now, Texas Congressman Louie Gohmert. Good to see you this evening, sir. Thank you very much for being here. GOHMERT: Well, Martha, we really wanted to get to the truth. MACCALLUM: Well, want to know why you asked for those specific names. Do you believe that the people that you named in that hearing today need to be removed from the investigation or from the FBI? Why did you pick their names? GOHMERT: Well, this is the only place I have to ask the FBI director if he knows of anything like that. There are indications that there will be other issues dropped in the future, and I wanted to know his position. So, all I can say is stay tuned. MACCALLUM: So, you have reason to believe that the individuals that you named in there today may be added to the list of Peter Strzok and Bruce Ohr? They maybe removed? GOHMERT: Martha, you know, before I was a judge and a chief justice, I tried lawsuits and this is the opening stage of where you gather information, and that’s the way I took it. I wanted to know what McCabe knew before we take any other steps. So, I’ll be glad to talk to you when we have other information. MACCALLUM: Well, we’ll look forward to that. You know, the underlying umbrella question here, though, is whether or not the FBI and the DOJ were involved in perpetuating the initial — the initiation, I should say of this dossier. And that’s the big question about why Bruce Ohr was meeting with Christopher Steele and was also meeting with Fusion GPS Glenn Simpson? GOHMERT: Oh, it’s outrageous. And we still need to know, and I know Ron Desantis did a great job, you know, in pointing out, we need to know, if you took a politically contrived and paid for dossier that ended up being totally false, and you use that as a basis to go to the foreign intelligence surveillance court and get a warrant to survey all members of the opposition presidential election team. If that’s the case, then the FBI has been co-opted and corrupted beyond perhaps even the sorriest days of the FBI’s time when J. Edgar Hoover was wiretapping Martin Luther King. MACCALLUM: Congressman Louie Gohmert, thank you very much, sir. Good to see you tonight. GOHMERT: Thank you, Martha, more to come.